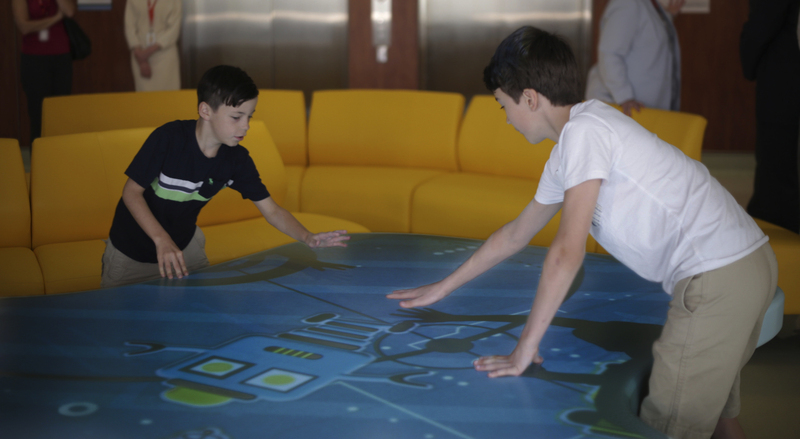 GestureTek Health’s gesture-controlled, interactive solutions are changing the face of healthcare facilities, Our technology is bringing unprecedented engagement to hospitals, clinics, nursing homes and other health facilities around the world. 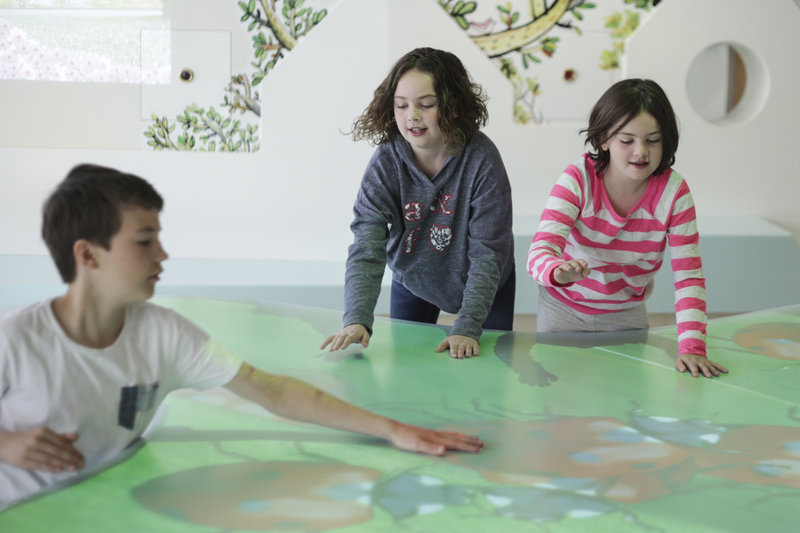 These interactive displays are highly flexible: able to be customised for any size or shape, and can be installed on any surface. 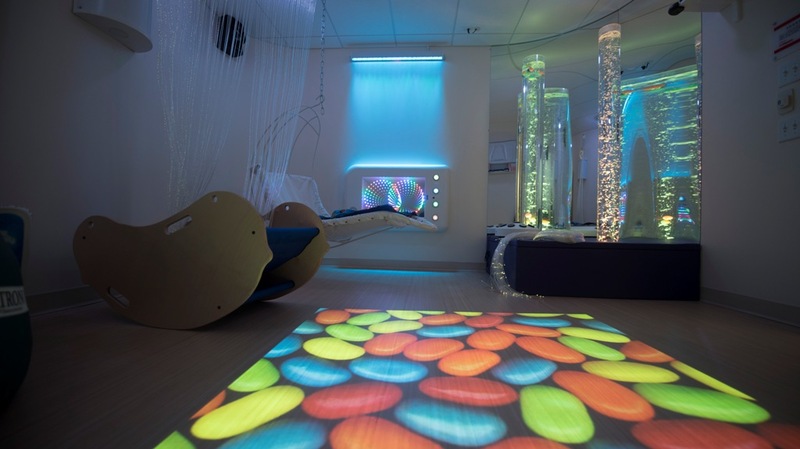 They are designed to create a dynamic environment or sense of therapeutic ambience; highly engaging and entertaining. 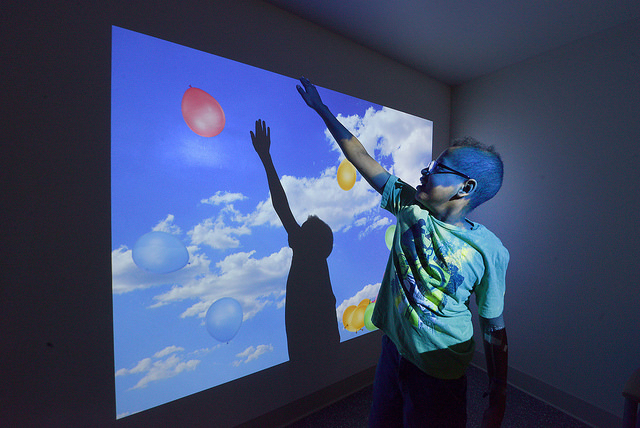 These interactive displays provide hours of enjoyment for patients and visitors of all ages and abilities. 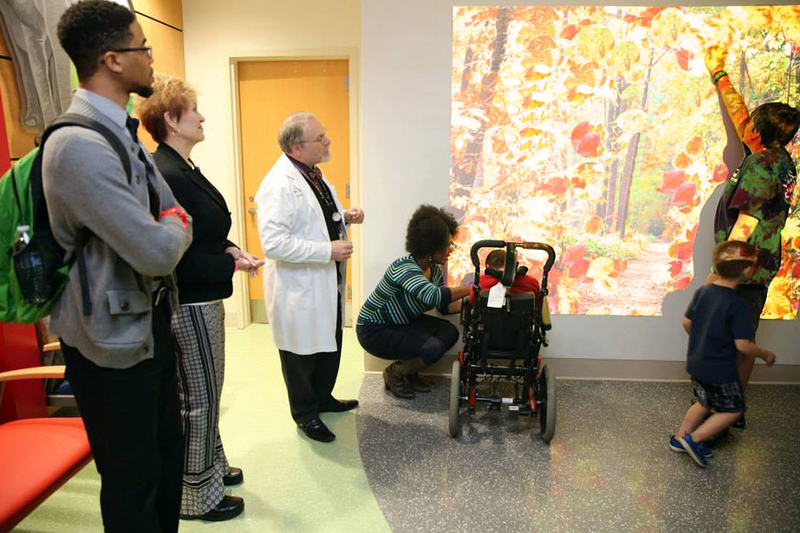 Having these virtual reality experiences in health facilities has proven to help reduce patient anxiety and pain, and increases patient motivation and effort during therapy. 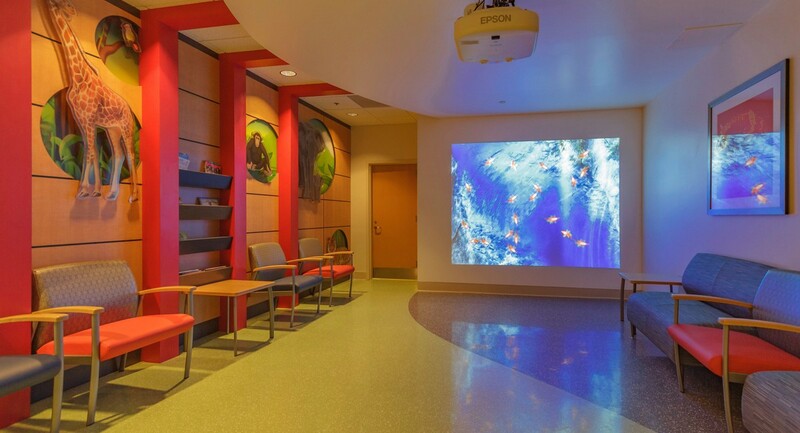 Systems can be set up anywhere – in foyers, halls and other common areas; in wards or waiting rooms; in therapy,and patient rooms. GestureFX creates experiences where anything is possible. 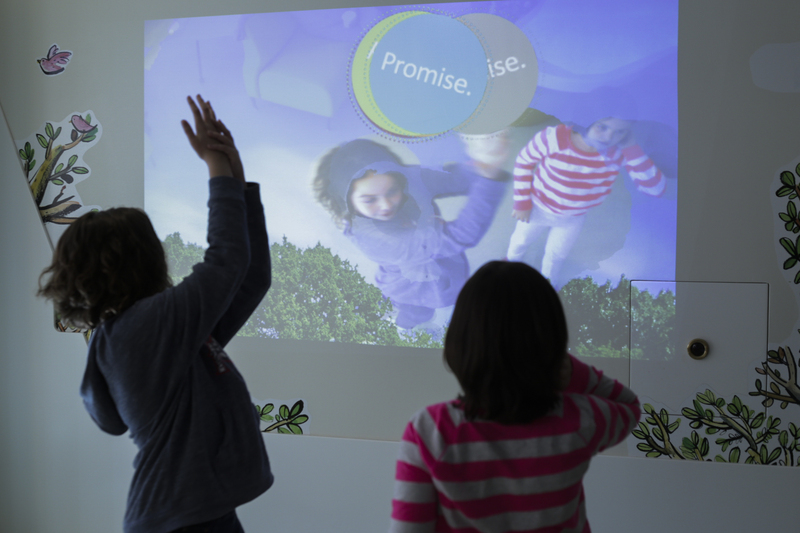 This family of stunning gesture-controlled displays is one of the world’s most advanced gesture recognition solutions for interactive displays and surfaces. 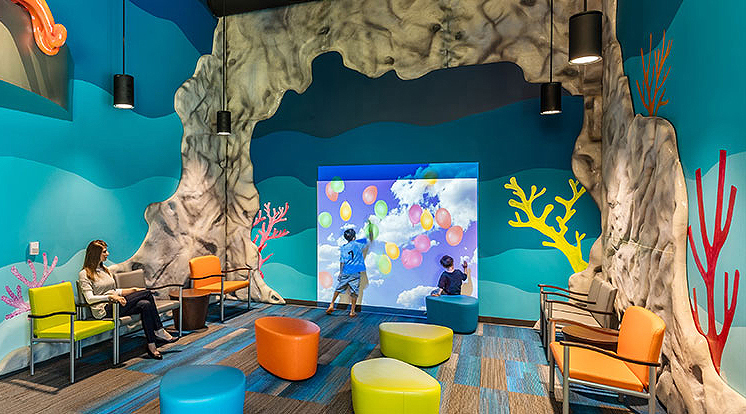 All of GestureTek Health’s products can be custom ordered and manufactured to match the design of the facility and blend in with the surroundings, including the creation of custom content. 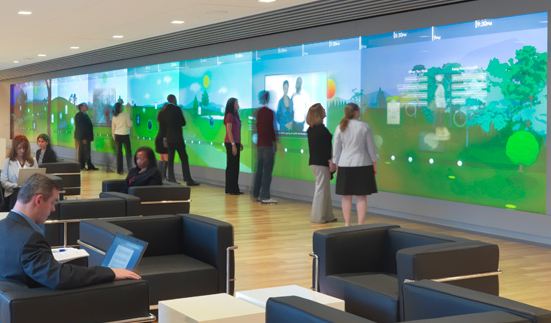 GestureTek Health also provides point-and-control systems, and multi-touch displays, for hospital staff, patients and visitors to search and navigate information on a dynamic interactive display throughout any healthcare facility.